It’s great news that more companies these days are working on improving the quality of health safety and hygiene in their workplaces. While it’s a great initiative, trying to achieve this goal might end up making other equally important things, like the environment, take the back seat. What we tend to forget is that even smaller items like a simple paper towel can make an adverse impact on the environment. 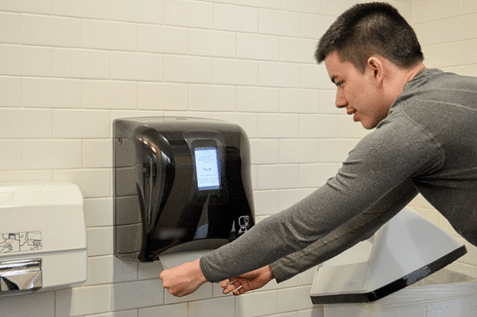 While having a convenient and easy way to dry your hands is very important for disease prevention, using too much paper hurts the environment. Therefore, it is all about finding the right balance between the green initiative and keeping up the high health standards at the workplace. That requires a little bit of investigation about how to keep your habit of using paper towels with making the minimal impact on the environment. made from fibre materials sourced from sugar canes or bamboo or trees from plantations grown and managed for this special purpose. There are paper towels made from virgin fibres sourced from trees. In simple terms, a tree has to be cut down to produce the paper towels which are discarded after use that lasts no more than a few seconds. That’s hardly worth a life of a tree, right? Avoid purchasing these kinds of paper towels. We can preserve our trees if paper towels made from recyclable materials are used over those sourced from virgin fibre. These are the most preferred and environmentally friendly paper towel choices for everyday use. There are two categories of recycled paper towels. 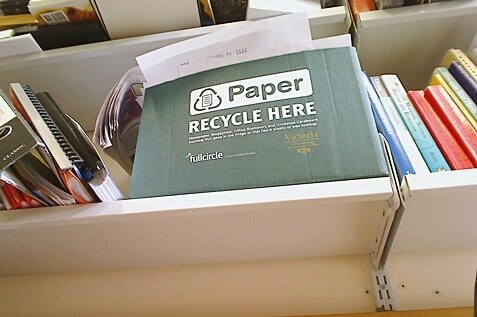 The first category includes paper made of post-consumer fibre. These are materials that have been previously used and recycled to produce the paper towels. Recovered fibre is the second category that represents paper towels made from waste paper that was never used – discarded scraps of paper. Your preference should be paper towels made from the post-consumer fibre; they contain the highest composition of used and recycled fibre. In the absence of a paper towel made from 100% recycled materials, you should go for products made from partly recycled fibre. The production companies sometimes make the paper towels appear more appealing by printing nice designs on them. These products are more likely to be environmentally unfriendly due to the ink used for these prints. There is also no health assurance for the ink used to make these print, which means it can be dangerous to our health. It is better to stay safe by using plain paper towels. That way, you will be avoiding poisoning from hard metals, potentially hazardous ink, and other unknown, harmful elements. Bleaching paper towels is a practice that has been popularly condemned. There are many potential health issues that can arise from using bleached paper towels. These products can release harmful compounds like furans and dioxins, which are known to compromise the immune system and can also affect fertility. Using bleached paper towels poses danger to aquatic life. One of the main elements used for bleaching paper, alkylphenol ethoxylates, breaks down in the process and release alkyl phenols. Alkylphenols are dangerous to birds and fish. They interfere with the endocrine functions of these animals upon contact. We know that despite these health claims, some companies still make their paper towels with these dangerous chemicals, so it is best to go for alternative options. These kinds of paper towels did not go through the process of bleaching with chlorine or any of its harmful derivatives. This just might be your best bet — these are pulps that are free from chlorine and other harmful ink or dyes. They have never gone through a bleaching process so these are usually brown products rather than white. that made from recyclable or recycled materials, which is your safest bet. It’s also wise to minimise packaging buy purchasing paper towels in the largest amount available. One high-capacity hard wound roll of paper towels with 800 feet worth of products uses less packaging than say, 5 packs with fewer paper towels per roll. 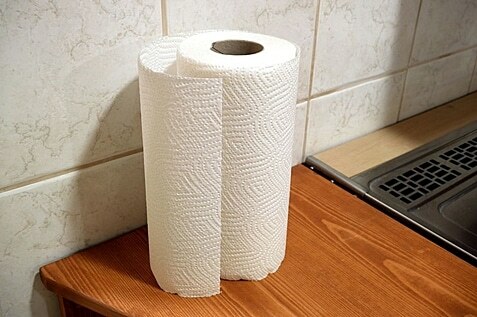 Using folded paper towels increases the chances of picking up more tissue that you need. That extra, unnecessary product will most likely end up being thrown away without having completely served its purpose. 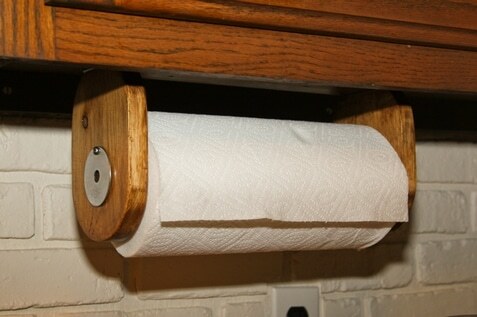 Using a paper towel dispenser or the products that come in rolls allow the user to take only what they need to use. There will be less waste and the resources will be better preserved. It is common to find longer rolls of paper towels in public places. The reason for this stems from them being more economical. They last longer and are less likely to finish abruptly, making them more sustainable than the folded ones. Paper towels make a good part of a compost heap. This is a better option than throwing them into garbage cans from where they will be emptied into landfill sites. Adding paper towels in a compost heap creates a good balance in the compost. It is important to have layers of carbon enriched materials and nitrogen rich waste. Oxygen is also needed, but it is added by turning the heap and letting the air in. Nitrogen rich waste includes vegetables and other similar byproducts. The paper towels will help form a good compost along with other sources of carbon-rich browns like straw, brown paper bags, twigs, stalks etc. If paper towels are compromised by chlorine bleach or oils and other forms of grease, they are no longer worth adding to the compost. This is why we should always go for 100% exclusive post-consumer recycled paper towels. You can make use of paper towels for all your needs while reducing the harm to the environment to the minimum. It’s really just a matter of making the right choice and the best choices are basically dependent on the materials the paper towels have been made from. The indications on the packaging should give you a the information about the paper source, so you can make the right choice. Fresh and Clean is a trusted name committed to helping businesses grow while achieving sustainability and protecting the environment at the same time. We offer affordable and eco-friendly health and hygiene solutions for businesses from all industries. Call us today and we’ll be more than happy to help find the right solutions for your workplace!